This WNT4 antibody is generated from a mouse immunized with a recombinant protein between 30-351 amino acids from human WNT4. Goat Anti-mouse IgG, (H+L), Peroxidase conjugated at 1/10000 dilution. Testa T.T.,et al.Submitted (AUG-2000) to the EMBL/GenBank/DDBJ databases. Jordan B.K.,et al.Am. J. Hum. Genet. 68:1102-1109 (2001). Clark H.F.,et al.Genome Res. 13:2265-2270 (2003). Ota T.,et al.Nat. Genet. 36:40-45 (2004). 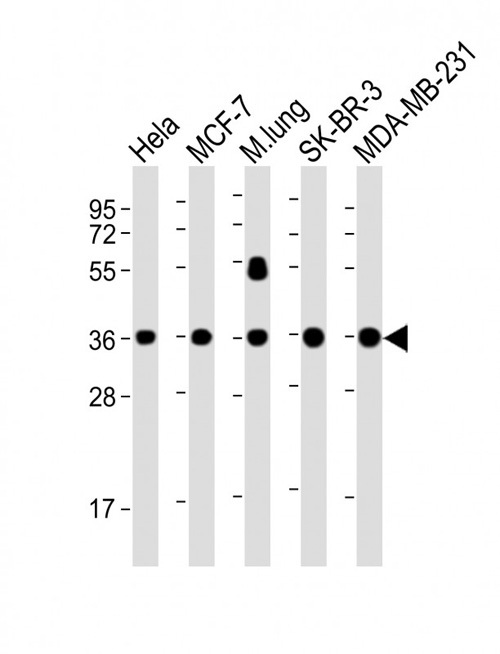 Kalnine N.,et al.Submitted (OCT-2004) to the EMBL/GenBank/DDBJ databases. 1. Polymorphisms on WNT4 gene might be involved in the pathogenesis of endometriosis in the infertile women.